Get Over $297 in FREE Bonuses when you order John F. Carter’s brand new book on Amazon! Don’t be a wounded antelope surrounded by a pride of hungry lions! Because that’s what you are if you go up against Wall Street without proven techniques for intraday and swing trading setups. And it’s not a question of “if” you’ll get eaten alive. It’s only a matter of “when”. It’s been more than five years since the acclaimed second edition and over 12 years since Mastering the Trade was first published in 2005. Both previous editions were about trading futures. 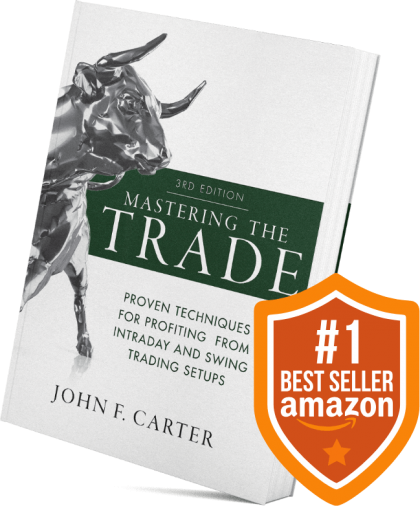 In the brand new 3rd Edition, John Carter added intraday and swing trading strategies for stocks, options, ETFs, and cryptocurrencies, revealing exact entry, exit, and stop-loss levels for his favorite time-tested setups. Forward the email with your amazon receipt for the purchase of the book to book@simplertrading.com. That's it! Once we've confirmed your purchase, we'll send you instructions for obtaining your bonuses. What REALLY Moves the Markets? When you understand most people fail because of FOUR things it’s possible to stack the odds in your favor and enjoy consistent profits. Why most traders blow out several accounts before discovering the right mental outlook needed for success. If you want to avoid costly trial and error read Chapter 2! How to anticipate big moves with simple tools few traders even know about. Those who do have a serious edge, have the potential to make extraordinary gains. 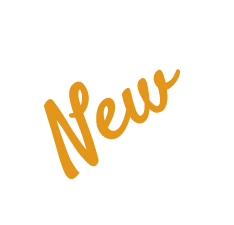 Discover John’s favorite setups for intraday and swing trading futures, stocks, options, Forex, and crypto-currencies. These proven strategies can work even if you only trade part-time. How to turn your own emotions into profits and other little-known tips and tricks John’s refined over almost three decades trading the markets. Discover secrets John’s never shared before! Learn the amazing journey that brought Henry Gambell from Geek Squad mobile technician to a successful options trader. Learn how he adapted John’s strategies into his own unique style. Discover the inspiring transformation of Danielle Shay Gum from school teacher to successful options trader once she distilled Simpler Trading strategies into her unique 5-Star Setups. Make sure you have the right technology when it comes to trading. Darrell Gum reveals exactly what you need to know about hardware, trading platforms, and security (and keep it simple)! The real secret to John Carter’s $1.4 million TSLA trade. Go beyond the setup and discover the market outlook and mindset that made it possible to manage that extraordinary trade. And so much more inside this massive 423-page blueprint for long-term trading success. 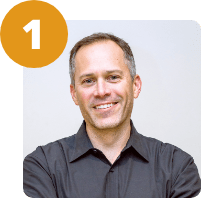 FREE BONUS #1: John’s Introduction to Trading Master Class ($197 Value). This class is designed to get you started off on the right foot. Before you choose whether to trade stocks, options, or futures, you can discover the secrets to successful trading. 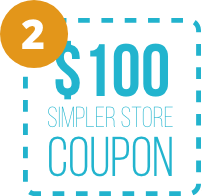 FREE BONUS #2: $100 Simpler Store Coupon. Apply this coupon towards our most popular courses and indicators. Our support staff is the best by far! You can email Support@SimplerTrading.com or call us at (512) 266-8659.